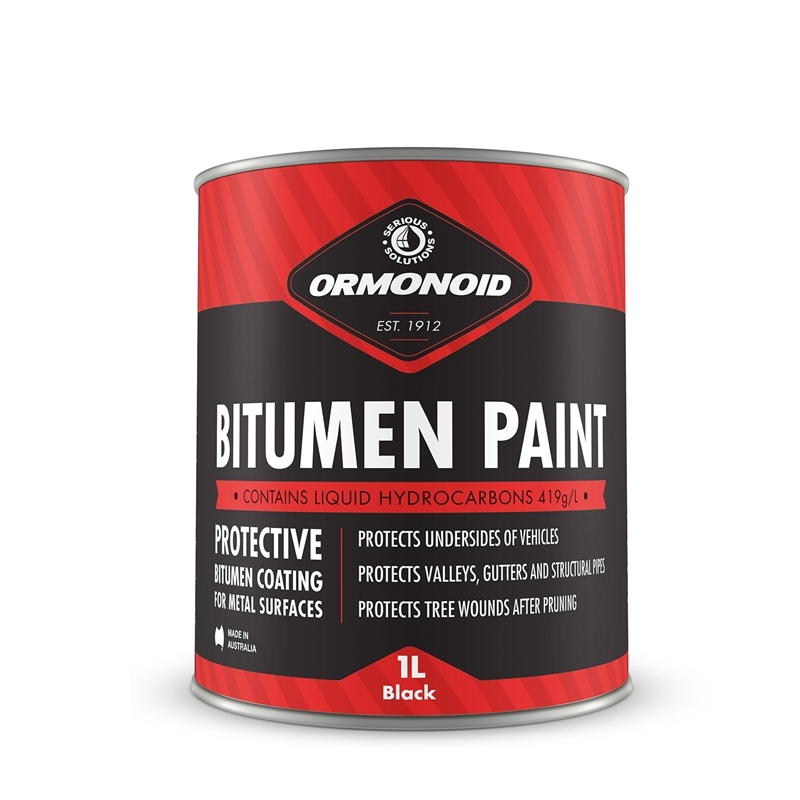 Ormonoid Bitumen Paint is a multi purpose bituminous product supplied in a paint consistency. 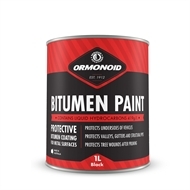 Applicable as an adhesive primer, protective coating or for tree surgery. Designed to provide protection of exterior metal surfaces such as guttering, downpipes, water tanks, troughs, trailers, car bodies and metal type roofing against corrosion. It can also be used for sealing of tree wounds after pruning, to prevent disease or vermin attack. Can be overpainted with Silvershield or an oil based paint for U.V. protection and better appearance.